This is a very nice load of Haworth Premise cubicles. These cubicles have everything, glass, extended 120 degree / directional work surfaces, paper management, over head storage bins, filing cabinets. 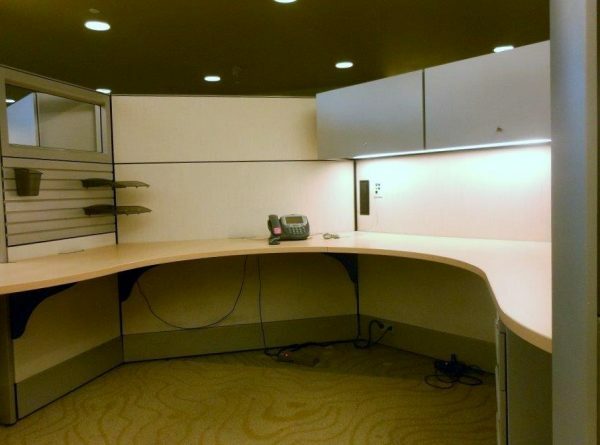 We are highly motivated to move this product and have already sold a great deal of this inventory.These cubicles can come in 48″ or 64″ tall, are only a few years old and were originally purchased brand new by Ebay. We would love to work on your project, please chat online or email us today for more information and a free space plan.